According to the readers of Condé Nast Traveller (CNT), Greece is the best country in the world and the top destination to visit in 2016, followed by Italy and the US. The Readers’ Travel Awards celebrate the best of the best in travel, as voted by the people who love to wander the world and explore different places. Readers were asked to vote on various criteria ranging from service, design, culture and value for money. Greece received crowd-pleasing scores across the board, with CNT readers declaring that they can’t get enough of our homeland as it continues to capture their imagination. Despite the current financial crisis that has been tormenting the country for over a decade, as well as the impact of the refugee crisis that has seen tens of thousands of migrants stranded in Greece (adding to the one million that have passed its borders), tourists have not been deterred from visiting the capital city, Athens, the mystical world heritage sites, the ancient ruins, as well as the enchanting Greek islands with their breathtaking beaches, excellent food and first class hospitality. The honour of ranking as the number one country in the world for tourists is a great one, and subsequently validates the statistical and official data of the Greek Tourism Confederation (SETE), which projected Greece to reach between 25-27 million tourists by the end of 2016, despite the massive drop of bookings in the Greek islands that were hit the hardest by the refugee crisis (Chios, Lesvos and Samos). Despite the negatives, there was sufficient substance for Greece to come in at #1, proving that despite all its difficulties, the country continues to capture the attention and imagination of travellers, by climbing to the top from last year’s fourth place. Working down the list, readers have agreed that Italy produces the best food (closely followed by France), the USA has the finest places to stay and South Africa is a fantastic holiday destination when it comes to value for money. Australia also made the top 10, at number eight, with its scenery, the vast open spaces and dramatic coastlines being the main drawcards. Similarly, the Greek islands also fared well in the ‘Best Islands in the World’ category, coming in at a respectable second place behind the breathtaking Maldives and just ahead of legendary party island Ibiza. 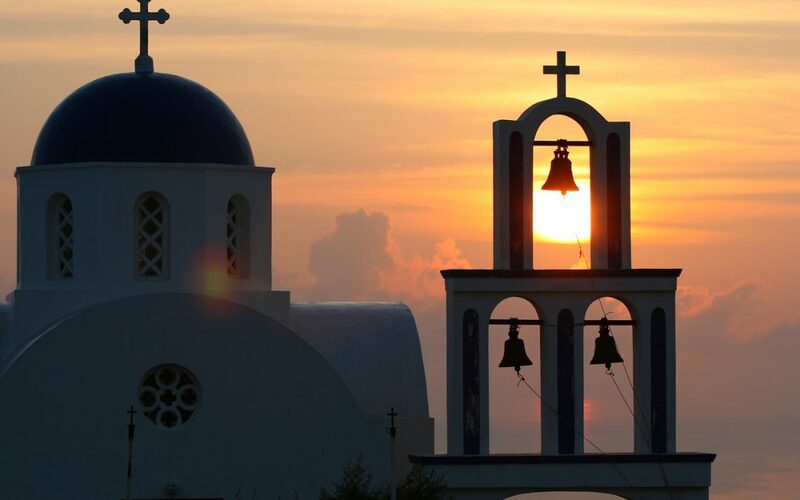 Greece is comprised of a mountainous mainland and hundreds of islands where each one offers its own share of stunning landscapes, ancient sites, nightlife entertainment and cultural delights. Tourists can choose from the plethora of the islands of Cyclades in the central Aegean Sea renowned for their white-washed buildings, Byzantine churches and golden beaches, opt for the picturesque island of Santorini (voted as one of the most romantic destinations in the world), or experience a favourite to most; cosmopolitan Mykonos. The magical seven jewels of the Ionian Sea that make up the mysterious Ionian Islands, with the best turquoise-lapped beaches, a much cooler climate, abundant olive and cypress trees and forested mountains, are also a very popular destination for many due to their unique architecture (influenced by the Venetians, French and British), traditional cuisine and a much more ambient and fertile version of Greece. Geographically located on the south eastern side of the Aegean Sea, close to the borders with Turkey, an eclectic mix of architectural heritage, wondrous scenery and colourful harbours make up the island complex of the Dodecanese − also known as the sunniest corner in Greece and the perfect destination for island-hopping adventures. Last but not least, no visitor can ever claim that they know anything about Greece unless they spend a significant amount of their time exploring what is known as the cradle of western civilisation and the birthplace of democracy: Athens. The capital city is the perfect blend of historical and modern features, ranging from archaeological ruins and monuments such as the famous Acropolis, the Parthenon, the Ancient Agora, the Theatre of Dionysos and Cape Sounio, to ultramodern bustling neighbourhoods overflowing with award winning restaurants, first class hotels and quality nightlife that ranges from beach bars to traditional tavernas and live music entertainment.